Sierra Nevada Corporation (SNC) is one step closer from allowing a human crew to fly inside the Dream Chaser spacecraft, as the vehicle passed yet another Commercial Crew Integrated Capability (CCiCap) milestone. While Milestone 9 has the rather mundane title of Risk Reduction and Technology Readiness Level (TRL), it provided the baby orbiter with a major review of her key systems. SNC is one of the three companies who won through to the next stage of NASA’s commercial crew program, following their $212.5 million Commercial Crew integrated Capability (CCiCap) initiative award back in August, 2012. The Agency’s initiative is a competition, with Dream Chaser facing off against two capsules – namely SpaceX’s Dragon and Boeing’s CST-100 – ahead of a down-select that will decide on which spacecraft will return a domestic crewed launch capability to the United States. 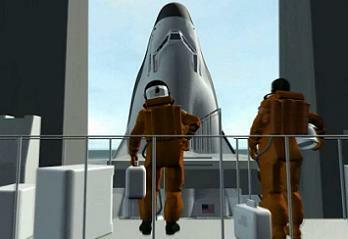 Both Dream Chaser and CST-100 have opted to use the reliable Atlas V as their launch vehicle. With NASA refocused on Beyond Earth Orbit (BEO) exploration goals, the keys to Low Earth Orbit (LEO) have been handed over to the commercial sector – with the Commercial Resupply Services (CRS) contracts already running. Unfortunately – and through no fault of the commercial partners – there is a large amount of pressure on the funding outlook for NASA’s Commercial Crew Program, with the first flight of NASA astronauts to the ISS on a commercial spacecraft continually slipping as a result. The latest slip pushed the US Crew Vehicle -1 (USCV-1) mission to a planning date of November 30, 2017. 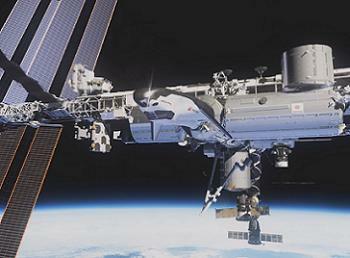 SNC’s Dream Chaser is fighting for the right to conduct that historic ISS mission, with a NASA crew heading uphill for a long duration mission on the orbital outpost. Testing is currently involving the Dream Chaser Engineering Test Article (ETA), which is currently located in her home port in Colorado, following her eventful exploits in California during her first uncrewed test flight. 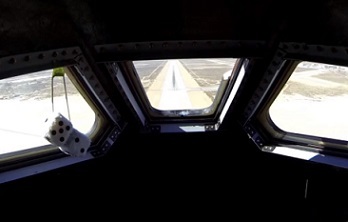 Despite a red-faced landing for the baby orbiter, she earned her wings during an automated free flight over the famous Edwards Air Force Base, a flight that was perfectly executed, per the objectives of the Commercial Crew check list. The vehicle is now enjoying a period of outfitting and upgrading, preparing her for one or two more flights – listed as ALT-1 and ALT-2 – beginning at the end of this year. Both will once again be conducted at the Dryden Flight Research Center in California. While those preparations are continuing, the paperwork still has to be completed, per SNC’s CCiCAP contract with NASA. The latest milestone requirement – number 9 on the list – is known as the Risk Reduction and Technology Readiness Level (TRL) Advancement Testing milestone, a major comprehensive review of various hardware system. SNC engineers successfully showed advancements on five major systems on the technologically advanced under the milestone parameters. The five specific systems subjected to extensive testing were: Crew Systems, Environmental Control and Life Support Systems (ECLSS), Structures, Thermal Control (TCS) and Thermal Protection Systems (TPS). “The data collected from the more than 3,500 tests completed over a year during these two milestones resulted in continued maturation of the Dream Chaser spacecraft design and significantly retired overall program risk,” noted SNC’s release for the milestone completion. In showing the complexity surrounding this particular milestone, SNC listed the numerous partners that were involved in providing Dream Chaser with a positive report card. For the TPS, extensive design qualification testing was conducted at NASA’s Ames Research Center in California and NASA’s Langley Research Center in Virginia through existing Space Act Agreements to validate TPS design performance. 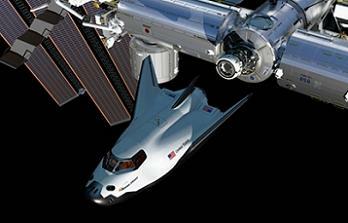 The effort included over 350 tests that allowed SNC to select the optimal TPS architecture for Dream Chaser to safely fly through the high-heat-load atmospheric environment during nominal return to Earth as well as during high altitude ascent aborts. Numerous tests were conducted in collaboration with SNC Dream Team member Lockheed Martin at NASA’s Michoud Assembly Facility in Louisiana on the structural requirement. 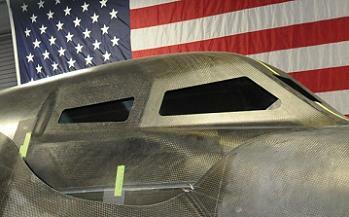 The next Dream Chaser is currently being constructed at MAF. Per the SNC release, more than 1,500 stress tests were executed on the primary structure to fully validate the strength and reliability of the Dream Chaser advanced composite structure. For the Crew Systems element, multiple tests were performed at SNC’s Space Systems headquarters in Louisville, Colorado. These crew-related assessments included reach and visibility, as well as crew ingress and egress testing in the horizontal and vertical positions, all in the new full-scale Dream Chaser crew cabin mockup. Former Shuttle astronaut Lee Archambault was kitted out in a crew uniform for these tests, 25 of which were conducted totaling more than 90 hours of data. The TCS element involved both internal and external active thermal control of the spacecraft being successfully demonstrated through rigorous testing by Orbitec at their facilities, while that company was also involved in the Human-in-the-loop tests related to the ECLSS to analyze temperatures and metabolic rates for crew as part of an in-orbit simulation in conjunction with UTC Aerospace in Connecticut. “By thoroughly assessing and mitigating each of the previously identified design risks, SNC is continuing to prove that Dream Chaser is a safe, robust, and reliable spacecraft,” noted Mark N. Sirangelo, corporate vice president of SNC’s Space Systems. From a financial standpoint, the current status of SNC’s CCiCAP payment plan has the company paid up to the 92 percent mark of the total award value of the CCiCap agreement.